There are five types of categories you can add to your community. 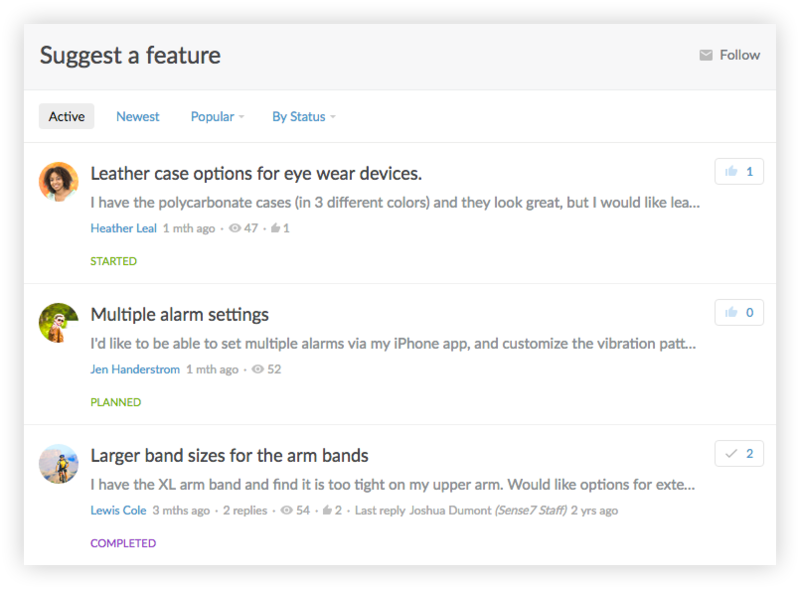 Each category type provides unique features to facilitate engagement. This is an overview of each category type. 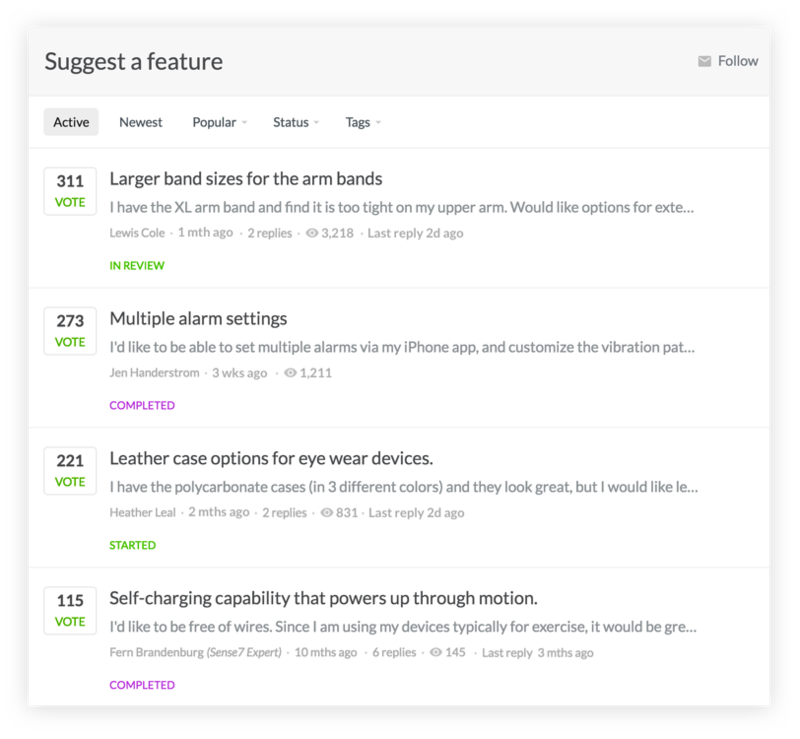 In an Ideas category, people can share feedback and vote for ideas they support. You can see which ideas are most popular and select ideas to implement. 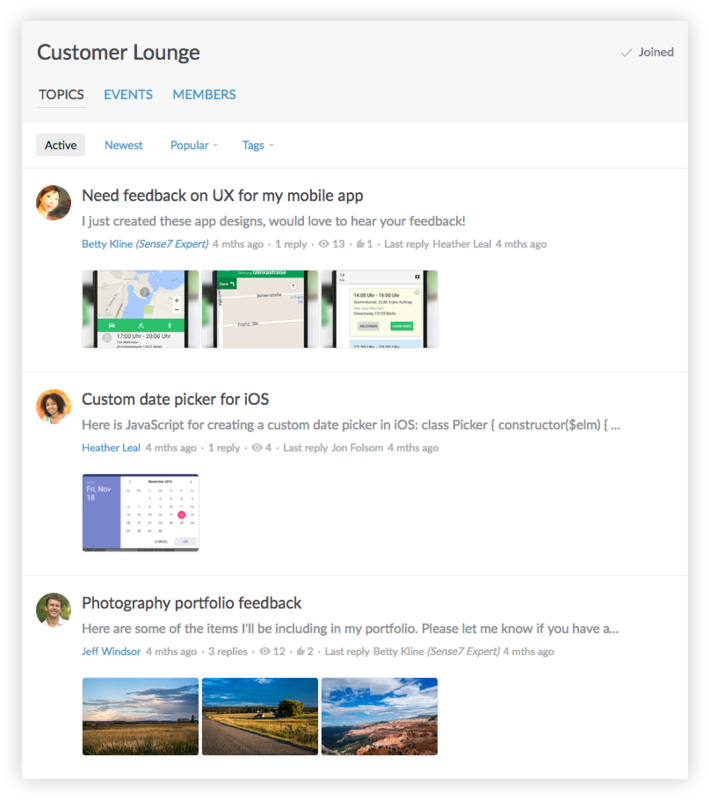 Assign status labels, such as in review, planned, started and completed, to inform customers of the status of their feedback. You can create custom status labels to match your product development process. 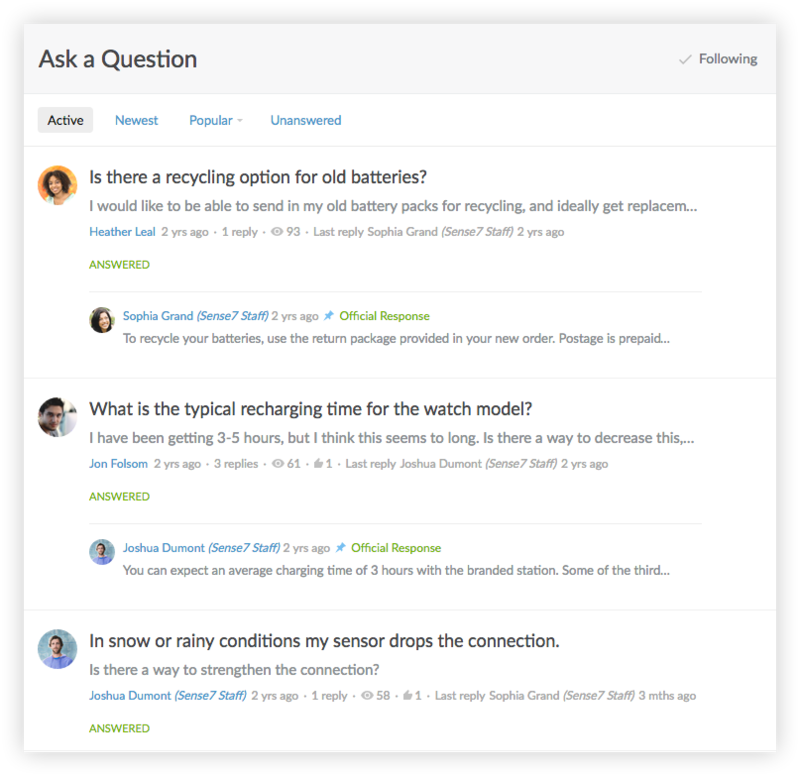 In a Q&A category, users can ask questions. Questions can be marked as “Answered” by the question author or by moderators. Moderators can also mark replies as “Official Response” or “Answer” and pin the best answer. 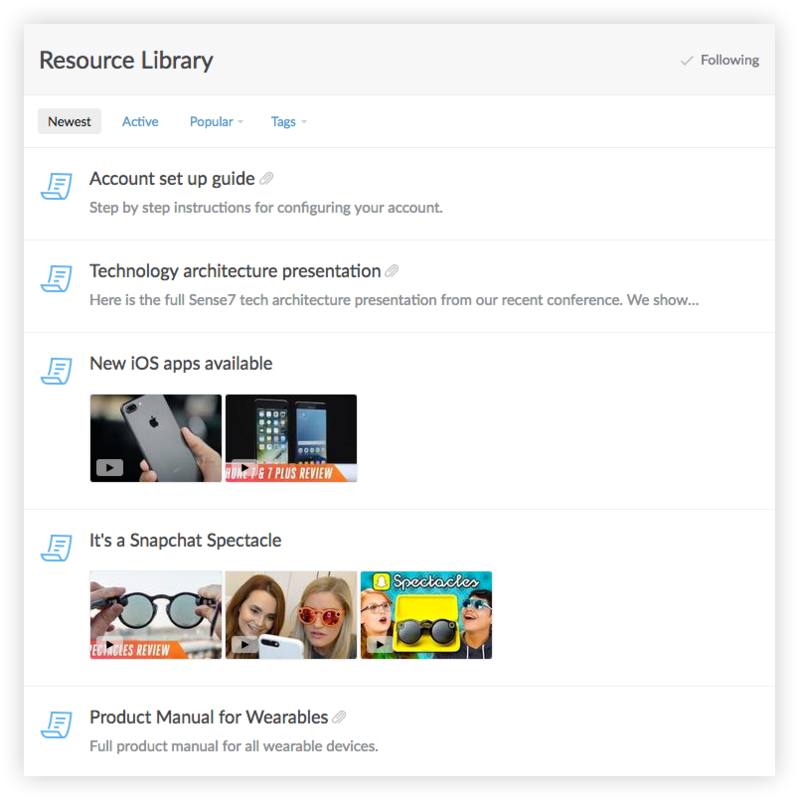 Users can start new topics and participate in ongoing conversations. As with all types, you can upload images, videos, and file attachments. You can schedule events and access a calendar of upcoming and past events. 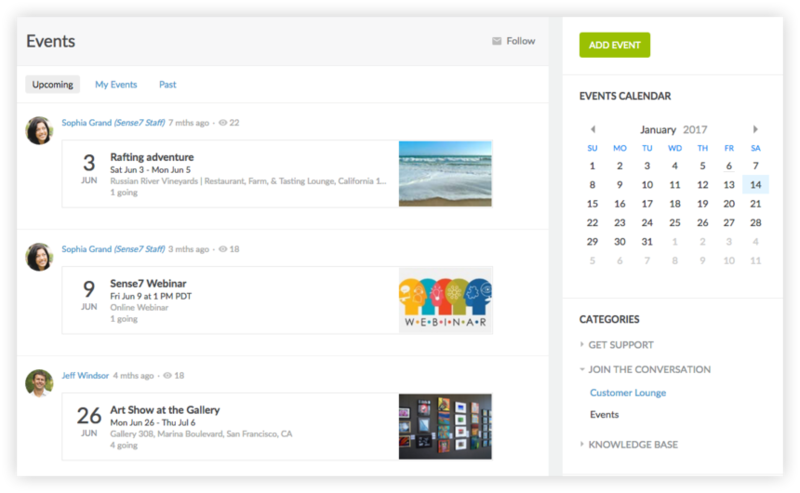 Events can have a schedule, a location with google maps integration, and users can RSVP. You can publish content in an article category, such as blog posts, news, and help articles.